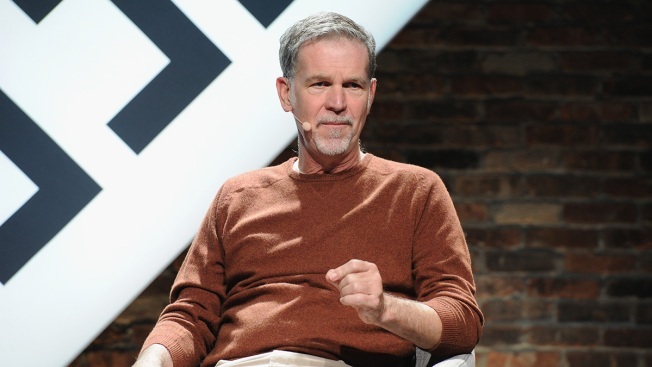 In this Oct. 2, 2016, file photo, Netflix co-founder and CEO Reed Hastings speaks during The New Yorker TechFest 2016 in New York City. Netflix's second quarter report released Monday showed an addition of 5.2 million memberships, crushing Wall Street estimates of 3.23 million. New seasons of Netflix hits such as "House of Cards" and "Orange is the New Black" contributed to the company's success since its last earnings report, according to CNBC. Netflix series garnered 91 Emmy nominations. The company's stock rose more than 10 percent after the news broke about the increase in memberships.